I am a blogger from Southern Oklahoma who loves everything to do with nature and animals. 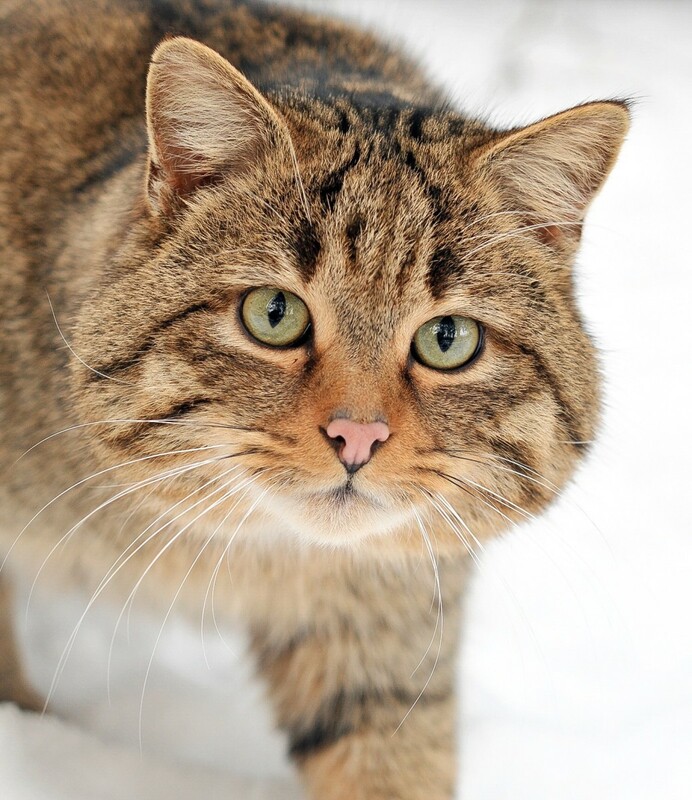 North America is home to six species of wildcats—bobcats, lynx, ocelots, cougars, jaguars, and jaguarundis—all of which are considered native to North America. With more and more of their natural habitat disappearing, wildcats—as well as many other types of wildlife—are coming in closer contact with man. In this article, you will learn all about the wildcats of North America, from specs like size and weight to fun facts about what makes these cats unique. Note: The following sizes and weights refer to adult males. 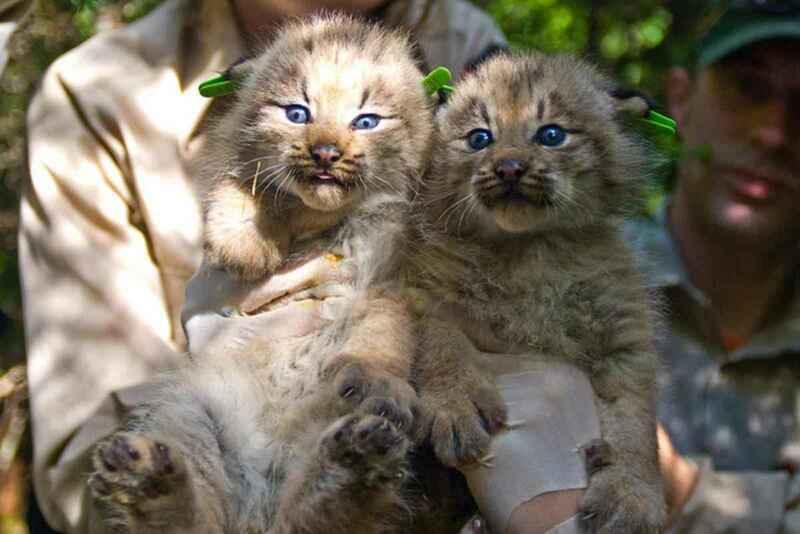 Physical Description: The bobcat and the Canadian lynx are sometimes thought of as the same animal. 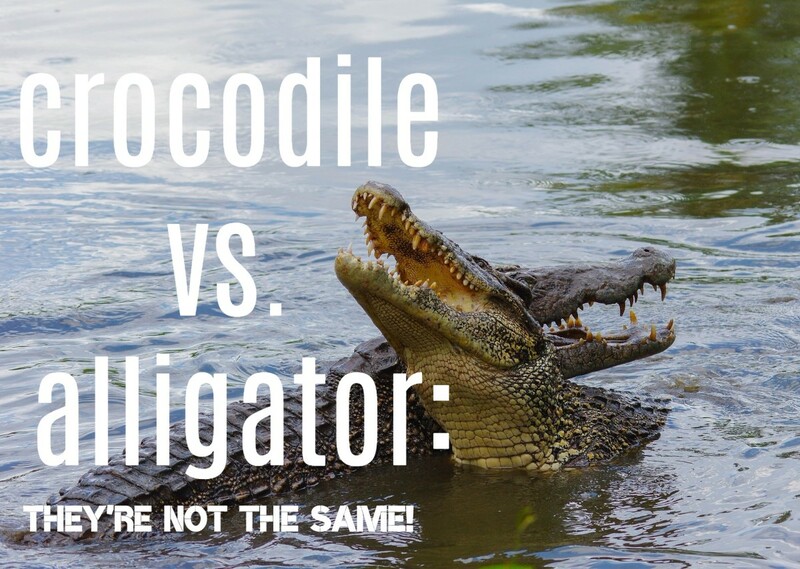 They are both of the same family but they belong to different species. The bobcat is about twice the size of the average house cat, with long legs, large paws and black-tufted ears. They get their name from their short, black-tipped tail, which appears to be “bobbed” or cut off. 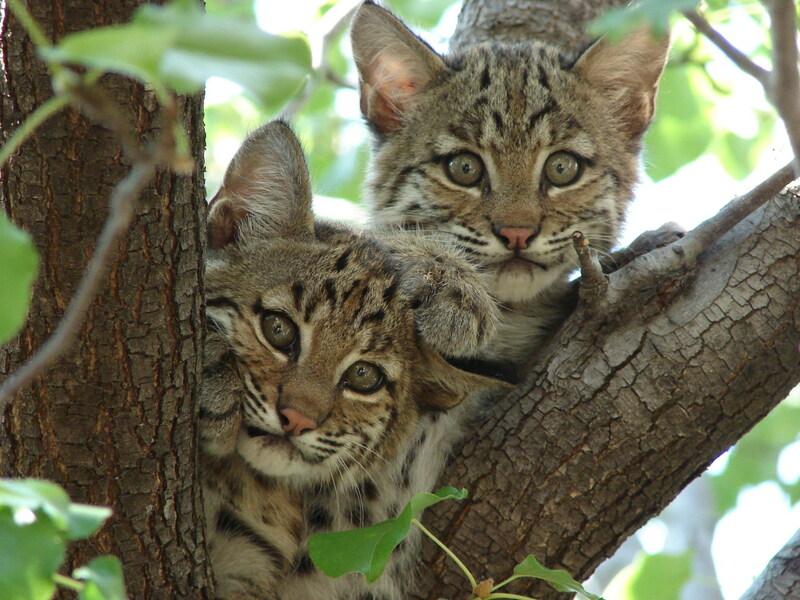 The bobcat has the largest range and is the most abundant of any wildcat in North America. Bobcats are nocturnal animals and are rarely seen by humans. They inhabit woodlands, forest areas and swamp lands, as well as some semi-arid areas. Some scientists speculate that the “tufts” of their ears are used like hearing aids. Due to their proclivity for eating the farmer’s chickens, they are often regarded as a nuisance and are shot by farmers. Many hunters will also kill bobcats as they eat the quail, pheasant and chukar that many hunters shoot for sport. Physical Description: The Canada lynx is about the same size as the bobcat—though the lynx has more hair, especially around the face and feet to keep them warmer in the colder climate. 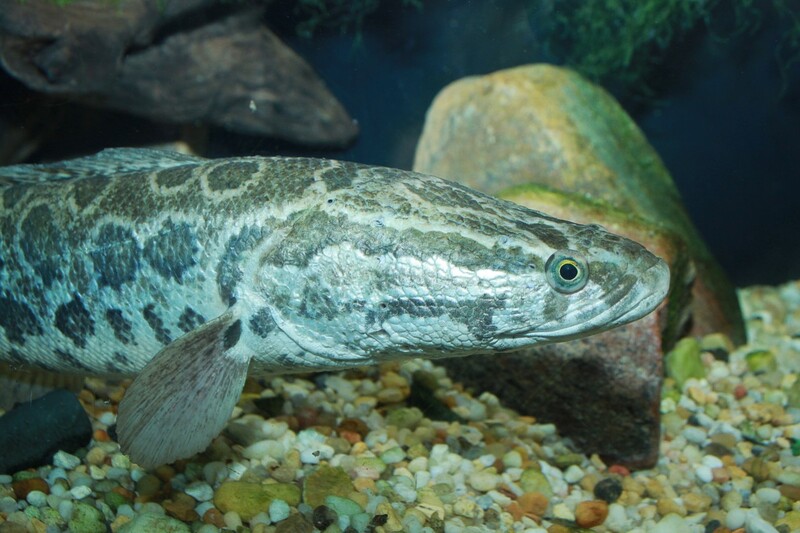 Both species have tufted ears and a bobbed, black-tipped tail as well. 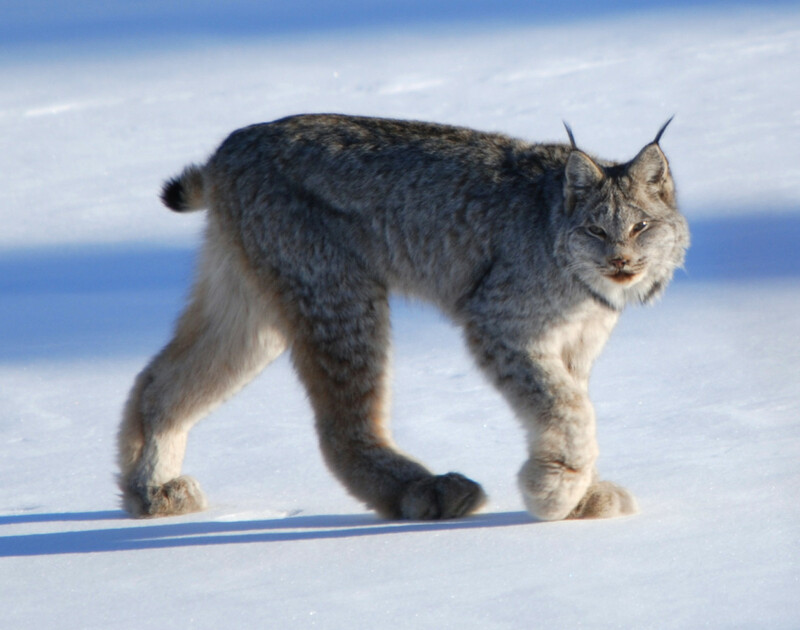 Their feet are used as “snow shoes” and are larger and hairier than a bobcat's for added insulation from the cold and snow. 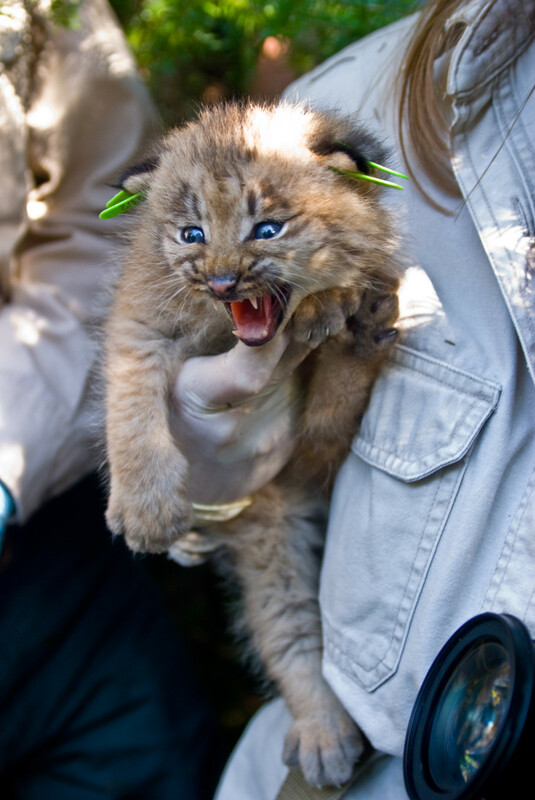 Lynx have excellent eyesight; they can spot a mouse up to 250 feet away! Interestingly, this trait is reflected in myths from several cultures. The lynx is a popular figure in Greek, Norse, and North American mythology—it sees what others can't and is skilled at revealing hidden truths. The lynx is actually the bobcat's “cold weather” cousin. There are several species of lynx. 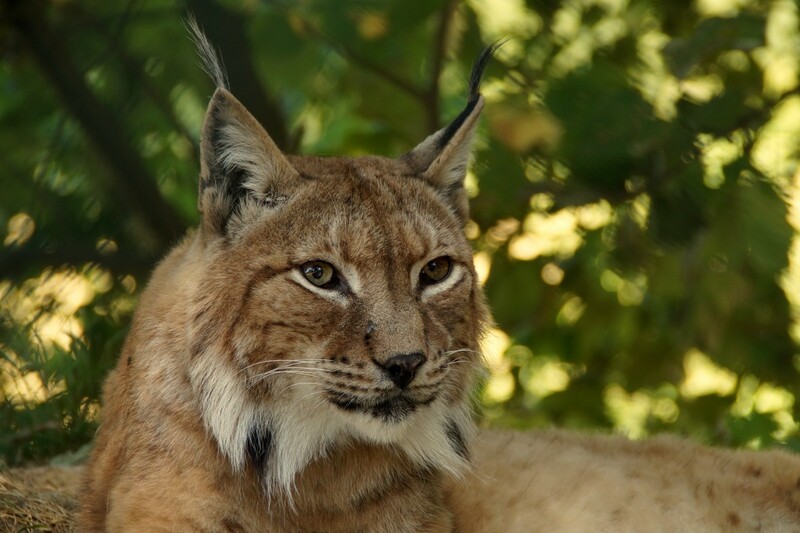 The Asian and European lynxes are larger that the North American species, the Canada lynx. As the name would suggest, Canada lynx are generally found in Canada, though they also inhabit some of the colder parts of the US. They inhabit mainly forest and tundra regions, and they know how to make the most of their environment; in order to save their prey to eat later, Canada lynxes will often cover it with a layer of snow! The Canada lynxes' diet consists mainly of snowshoe hares. There is a correlation between the number of snowshoe hares and the population of lynx. 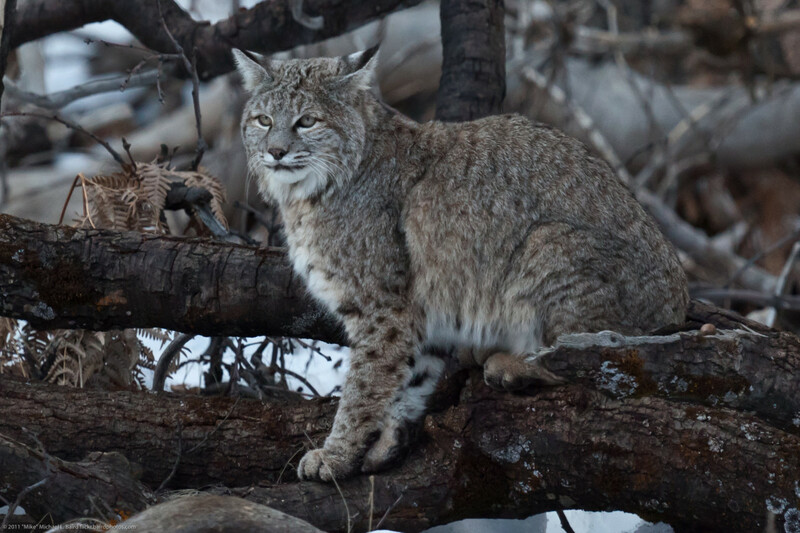 As the number of snowshoe hares decline, so do the number of lynx. The larger Eurasian lynx will hunt deer as well as smaller animals. Physical Description: The ocelot has short, tawny or reddish-brown fur with black spots and rosette-shaped markings. Their faces have two black stripes down each side (running from the muzzle and eyes back toward the neck) and their tails have black bands. Conservation Status: Least Concern, population decreasing. 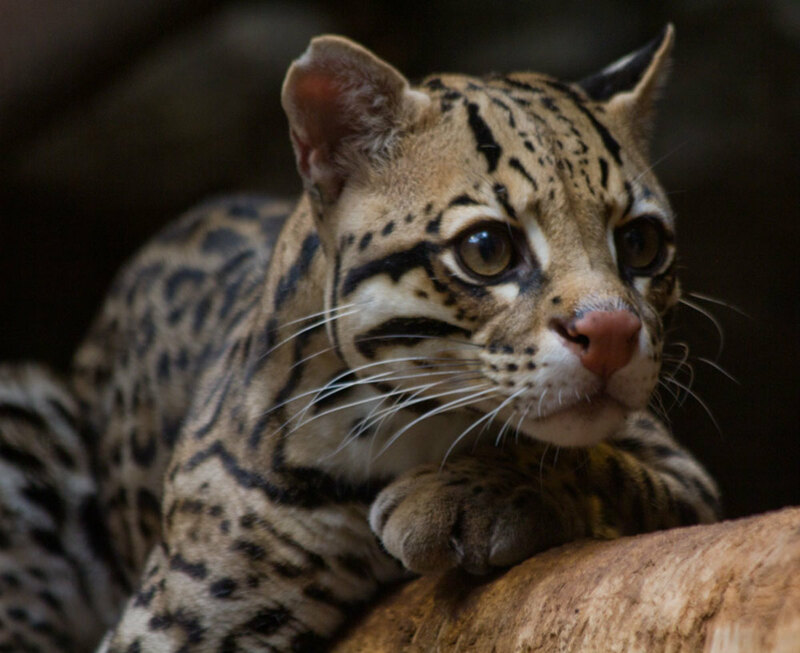 Though ocelots are listed as "Least Concern" on the IUCN Red List, they are endangered in the United States. At one time, they could be found throughout the southwestern parts of the country; however, due to their beautifully spotted fur, they were illegally hunted to the point that their only remaining footholds in the US are in a few small, southernmost areas of Texas and Arizona. While most cats strip their prey of feathers and fur as they eat it, ocelots refuse to eat even a bite until they've plucked off every last feather and bit of fur. The ocelot is sometimes called the “Painted Leopard” or "Dwarf Leopard". They can often be found in trees, stalking their prey, and unlike most other cats, ocelots don’t mind the water and can swim very well. They are primarily nocturnal, solitary animals. Range: Primarily found in southwestern Canada, the western US, and almost all of Mexico and Central and South America. Small numbers found in pockets of several other state, including Florida and Nebraska, and parts of central Canada. There have also been sightings in Georgia, as well as North and South Carolina, and small populations are returning to states such as Oklahoma, Missouri and Arkansas. 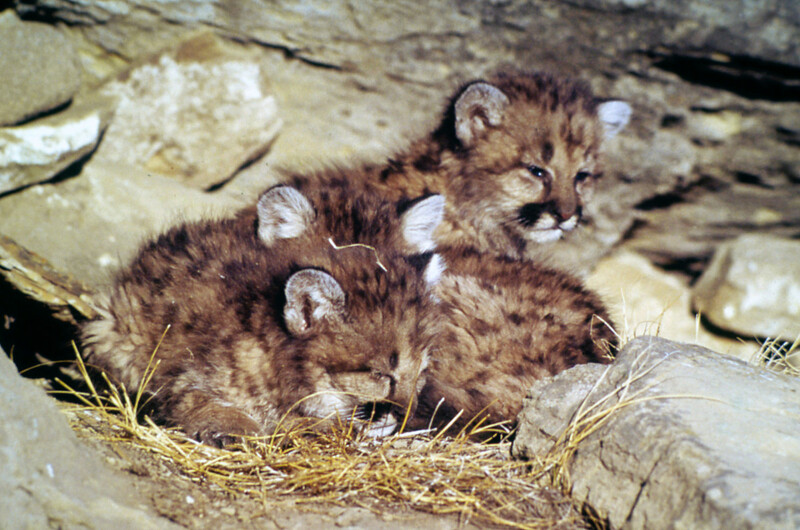 Physical Description: Mountain lions are beautiful animals with tawny-colored coats (ranging from brown to reddish or grayish) and no markings. Their ears have black marks on the back, and their chests are white. They also have white fur around their mouth and on their neck, belly and inner legs. Conservation Status: Least Concern, population decreasing. Though the cougar population was nearly extirpated in most of its eastern North American range, it is globally listed as "Least Concern". Although mountain lions are large and have many characteristics of the "big cats", they are still considered to be in the "small cat" family. They are, however, the largest cats in that category. 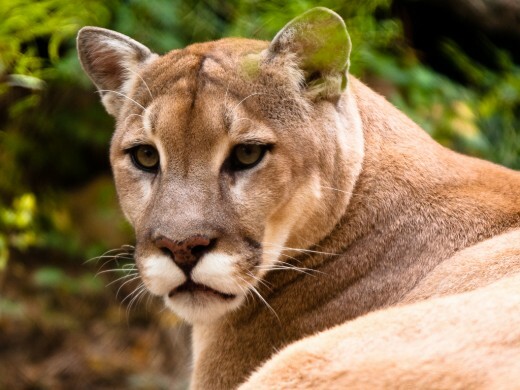 The mountain lion goes by several names—puma, cougar, catamount, and panther—and is a powerful and feared predator. Mountain lions have been known to attack humans. However, statistics show that on average, there are only 4 attacks and 1 death each year in all of the US and Canada. Mountain lions will be more likely to attack a person who is alone or a small child. Physical Description: The jaguar resembles a leopard but is usually larger and more sturdy. It has a broader head and shorter legs than the leopard. Their coat is usually yellow or tan but can vary from brown to black as well. Their spots are more solid on their head and neck, becoming rosette-type patterns along their sides and back (this is another way to tell jaguars and leopards apart—the rosettes on a jaguars' coats have spots inside them). Conservation Status: The jaguar is listed as "Near Threatened". Sadly, though jaguars were once widespread in the United States, only a few now remain here. Their population has been almost completely eliminated in the United States, though there are occasional sightings along the border of Arizona and Mexico, with a group of 80–120 being found in remote areas of the Sonora Mountains. It is estimated that approximately 15,000 jaguars remain in the wild, with the greatest populations in Mexico and South America. The name "jaguar" is derived from the Native American word "yaguar," which means “he who kills with one leap”. The jaguar is a solitary wild cat and normally lives and hunts alone. Their territory can range from between 19 to about 55 miles. Jaguars normally hunt on the ground, but will also climb trees and pounce on their prey from above. Like ocelots, jaguars also enjoy the water and will catch and eat fish. The jaguar has extremely powerful jaws and is known to pierce the skull of its prey, biting directly into the brain. Physical Description: Jaguarundis look more like weasels than the rest of their feline family, with slender bodies, short legs and sleek coats. Their coloring ranges from black or brownish-grey to red, and a litter can contain any combination of the colors (though the darker colors usually occur in the rain forest and the lighter colors in more arid environments). Jaguarundis are some of the only felines that don't have contrasting colors on the backs of their ears. 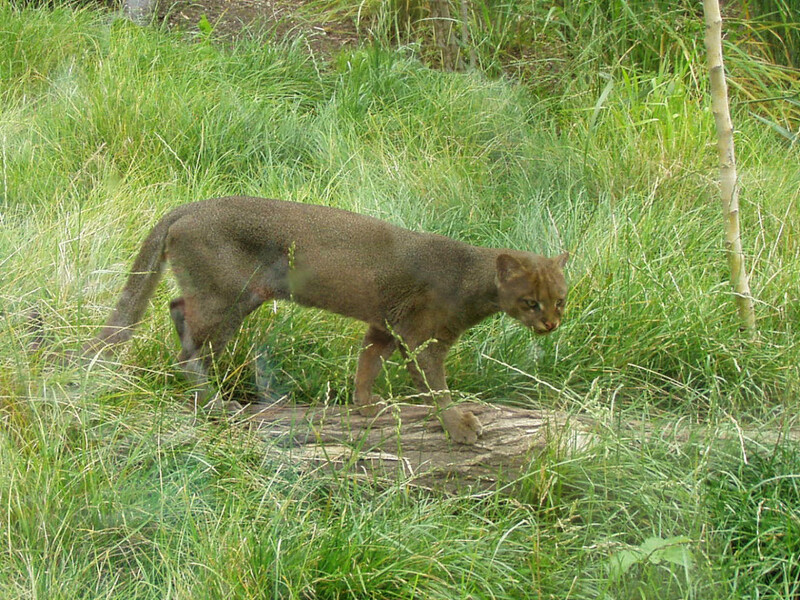 Jaguarundis are solitary cats, though they occasionally travel in pairs, and unlike most other cats, they are generally most active during the day. Allegedly, they were once used to control rodent populations in Central America, though this is no longer the case. Though most of these wildcats are quite elusive, habitat loss is pushing them into closer and closer contact with humans. To find out more about habitat loss and what you can do to fight it, visit The National Wildlife Federation's website. While wildcats (and other wildlife) are being forced to venture closer to urban areas, it's still fairly rare to come into contact with any of these felines. In any case, at least now you know a little more about the wonderful wildcats of North America. Bobcat. (2018, September 21). National Geographic. Retrieved on December 12, 2018. Lynx. (2018, September 24). National Geographic. Retrieved on December 12, 2018. Basic Facts About Canada Lynx. (2016, September 19). Defenders of Wildlife. Retrieved December 12, 2018. Ocelot. (2018, September 21). National Geographic. Retrieved on December 12, 2018. Ocelot. (n.d.). San Diego Zoo. Retrieved December 12, 2018. Cougar. (2018, September 21). National Geographic. Retrieved on December 12, 2018. Jaguar. (2018, September 21). National Geographic. Retrieved on December 12, 2018. 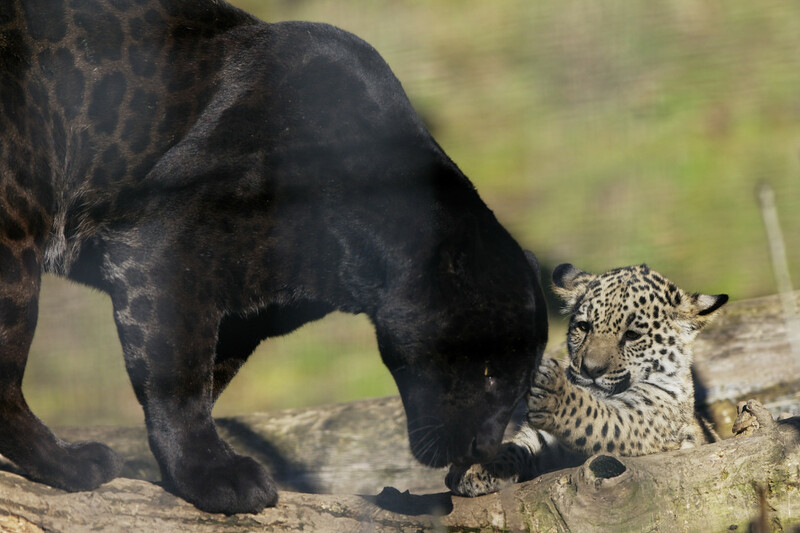 The top 5 differences between jaguars and leopards. (2015, April 21). Wildcat Sanctuary. Retrieved December 12, 2018. Jaguarundi Facts. (2018, January 18). Big Cat Rescue. Retrieved December 12, 2018. What species of cat is it that lives in the swamps of southern Louisiana? Its coat is darker and it’s stockier than the pictures I found of the Florida panther. The only wildcats that are known to be in southern Louisiana are the cougar and the bobcat. I saw a black panther in OK a few years ago. I’m glad to know others have seen them as well. About 6 years ago this month we had an Ocelot jump the fence e into the Back Yard of our North east Mesa home in LasSendasnot more then 7 miles from saguaro Lake. It was a beauty I am familiar with them know this was one. We had a cougar living close to us. One early morning when it was still dark my husband was snow blowing. He came back along the drive and the lights on his machine fell on tracks in the snow. A cougar had been trailing behind him. In the spring the cougar was seen with little ones. People use to also keep ocelots as pets. We use to see them when we lived in Calif.
Mac is incorrect, she didn't "forget" panthers. The term "panther" doesn't denote a specific classification of cats, it's a term that's used in various ways in reference to large cats of several different species. Most commonly, it refers to melanistic leopards and jaguars. What Mac is thinking of is the "Florida panther", which is one of the several regional names for cougars aka mountain lions. 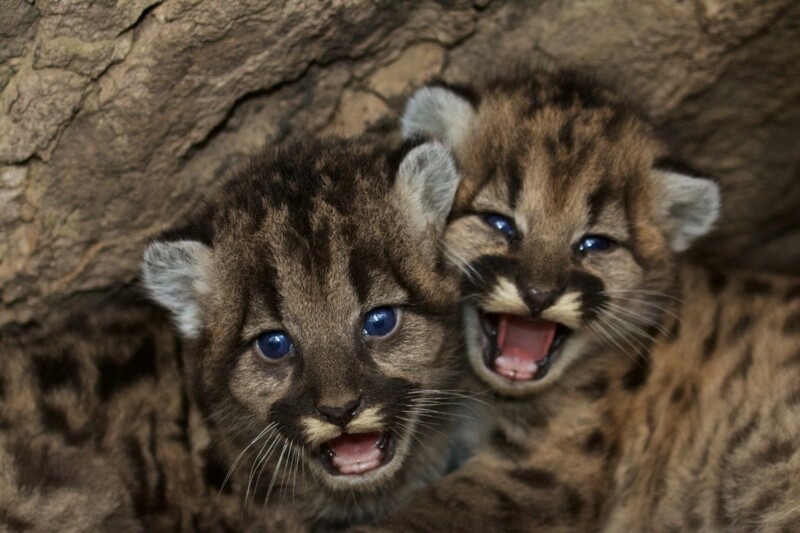 The section on mountain lions notes that they are known by several names, including panther. 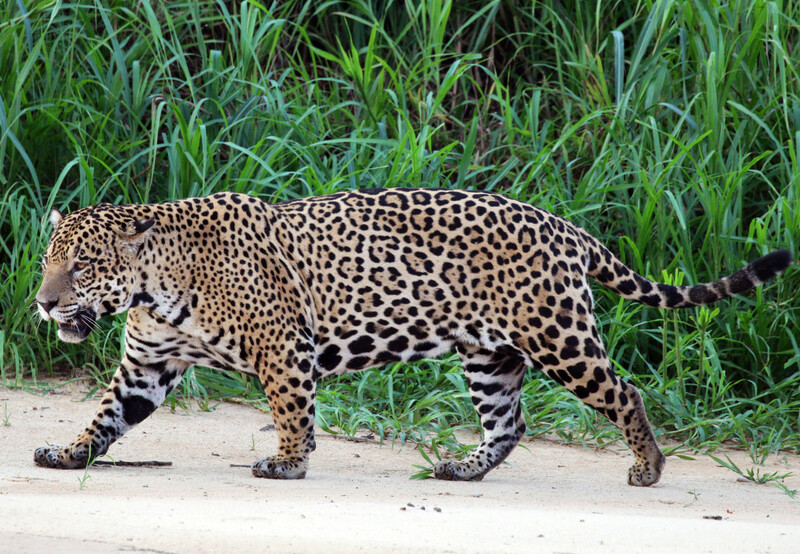 The jaguar is the largest cat in the Americas. How about jaguars and jaguarundis. They live in Mexico and Central America, which last I checked, are part of North America? You need to do you're research. I live in Oregon and cougars are all over. Just 3 months ago we saw one down the road from us in Newport Oregon, two nights ago one was hit by a car 5 min from my house. I hunt every year and either hear or see them in the woods. I also have a friend who holds the record for largest cat killed with a bow by a woman in Oregon. Currently in Oregon there are over an estimated 6,500 lions living here with most being in the western half. There are good introductions here and great pictures of these big cats. I would like to ask you to study further the mountain lions or pumas, as I believe some of the information provided may be outdated or incomplete. I grew up in Northern CA and have spent a career (30 years as a professional) working in the wild environment there. I don't know that I would call mountain lions common, but there is a healthy population within the Sierra Nevada and Southern Cascade Mountains. They are a magnificent animal, intelligent and curious. I am perplexed at the fear people have for these animals. The key to living in lion country is respect them, and don't act like prey. Having spent 50 years living, hiking, skiing, backpacking, and sharing their habitat, from small cities to an isolated wilderness cabin, I have been blessed to only see a mountain lion three times. Each time as soon as they were aware of my presence they disappeared into the forest. I have seen many bobcats, but the lions were more elusive. Usually if we encounter a lion that has become a nuisance or danger within a neighborhood, it is either a younger lion newly independent from its mother, and has not successfully found its own territory; or an older lion which is having trouble hunting and surviving due to the infirmity of age. These wonderful cats are being crowded and endangered by loss of habitat and mankind's actions. Mountain lion attacks on people in North America are rare, and deaths are few. You CAN fight off a mountain lion (unlike a bear) if you get the chance. I fear unknown, loose large breed domestic dogs (which are responsible for far more attacks including fatalities every year within the U.S.) much more than the mountain lions that share the forest around my home (I know of one female which has an established territory which my home is in, and a male that wanders through occasionally). Thank you for allowing my long post. Keep up the great articles. Thank you Taranwanderer. I appreciate you stopping by and commenting. Very informative page, Sheila. I do get to see a Ferrell, Puma and Bobcat around here on occasion. They tend to stay clear of humans, and that is probably smart on their part. Voted up! I had a bobcat walk through my garden the other morning. It was surprisingly small but you could not mistake it for a common house cat though it was not much larger. The ears are quite different and it goes about hunting in a no nonsense way. Most house cats I have seen wonder when you are going to do something useful like feed them. Else, get lost. Hi Mrs Brown, I like big cats and tigers are my fav. I like lions too. Out of 4 you mentioned I like mountain lion. The cats are supreme predators, from their eyes to their toes to their tail, everything looks like made for the hunt. Very good hub. Voting it up and sharing here. This was a fascinating look at the wildcats of North America. The only one that I have ever seen in the wild was in Yosemite National Park. My German girlfriend and I were hiking along a path and another person actually spotted the head and shoulders of a cougar behind a rock not that far away from the path. His coloration blended in perfectly with the colors of the rock and he was motionless. We paused a moment to look at him as did others on the path...and suddenly he disappeared from view. It was an amazing experience. UUI votes and sharing. A very interesting hub with good facts. As an avid hiker and backpacker I have had occasion to encounter a few of these animals and believe me you never forget the experience. Wonderful Hub. I come from India which is home of big cats and I love cats. Usually our cats ( domestic or simple cats not big cats) are not big. But big cats like tiger and lions and cheetas are wonderful. I went to Gir National park and I saw an Asiatic Lion there sitting in open. It was such a magnificient site. I wish I could make any of these gorgeous wild cats a pet and a guard cat at the same time. The ocelot is cute! Fantastic hub, SG! I actually saw a mountain lion in an orchard in Visalia, CA in 2002. I was shocked and amazed! It was huge! :) Loved all the information in this. Voted up and more. 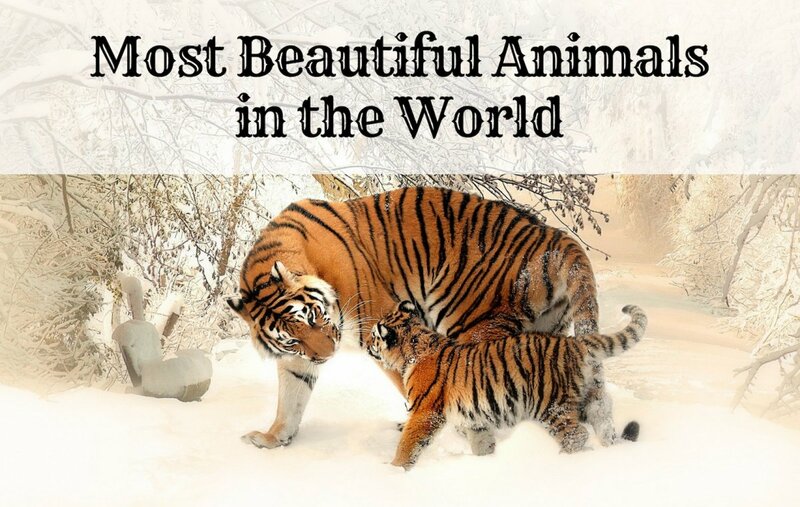 What beautiful animals! I saw a bobcat once many years ago. It was along the side of the road and slipped into the woods as I drove by. I only caught a fleeting glimpse but I've never forgotten it. Informative hub. Voted up! Hello RTalloni! I love wildcats. I have had to be reminded that they are wild creatures as well. The bobcats around here do keep the mice and field rat population down, but they also eat the quail that is trying to make a come back here. Of course, hubby would never shoot one of them, it's more of a "let nature take it's course" thing. No one I know personally has ever seen a mountain lion around here, so I am not sure there are any. I have never seen any tracks either. I would really hate to have to stop taking my walks alone in the woods. 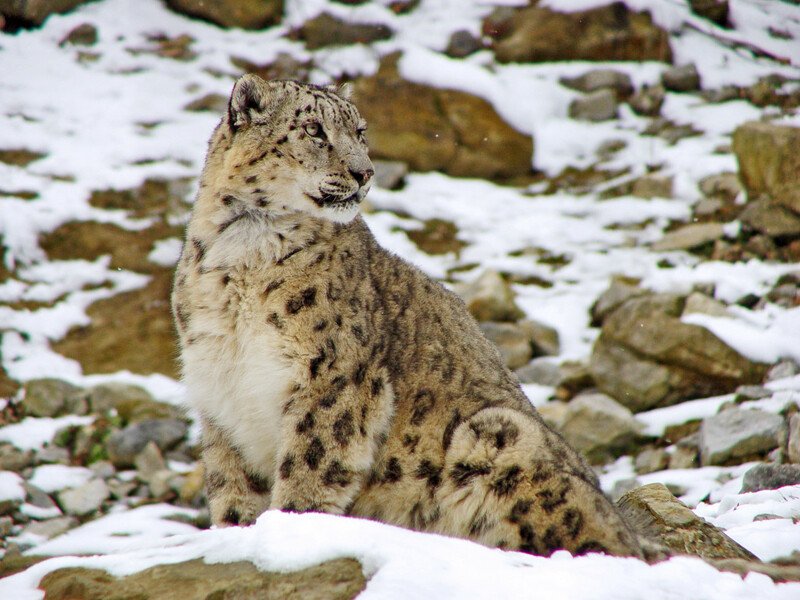 Sure enjoyed seeing these cats highlighted here--such beautiful creatures they are! Seeing them move and watching their alert eyes in the videos was pure joy. I am one who would have to be reminded that they are wild animals, and predators at that. The fact that big cats help keep the rodent population down, and even help with the coyote population makes them invaluable. The rodents and coyotes can do a great deal of damage as well as carry diseases via fleas and ticks that kill other animals and people. Though I'm sure there are hunters who kill some of these cats, the hunters I know would not do so unless they were attacked by one, which is very unlikely. Farmers are a different story but they generally only protect their families and farm animals from predators, though I am sure that some go sadly beyond the need to do so. The information you've shared is interesting--an enjoyable hub here, thanks! Interesting, informative hub. I've seen lots of wildlife, but never a wildcat. I didn't realize that bobcats were so small. I was wondering - is the Florida panther endangered also? Great hub - voted up and interesting. I have never seen an ocelot in person. I have had the honor to see the others, (the lynx was in a zoo, the bobcat and mountain lion were up close and personal in my backyard!) I love the pictures in this hub! Voting up and more! Shiela, what an amazing, although sad hub! I have always been fascinated by wildcats. This is probably why I'm a cat lover and prefer them to dogs (I have 3 cats). It is so sad to see what is happening to this majectic animal. They are being hunted for pure sport and financial gain. Not one of these videos mentioned hunting them for food. We still have a few cougars, sometimes called Florida Panthers, living in the Everglades. 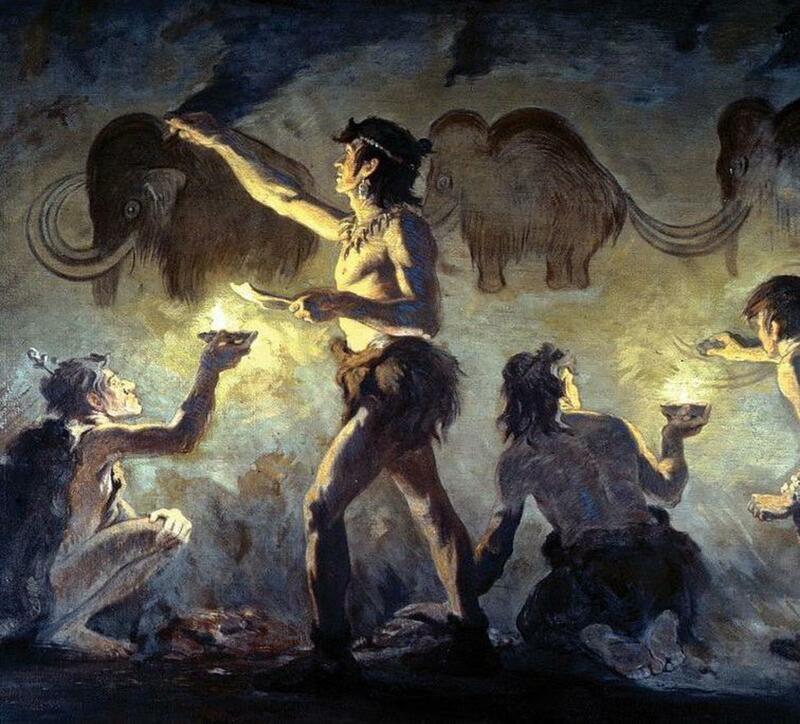 It's a shame what Man is doing to Nature's cycle. I found it rather fascinating to learn the difference between 'lesser' cats and the larger lions, tigers, etc. I was unaware of the purring versus roaring capabilities. Thank you for this most informative article. The videos were a nice learning tool, as well. Great and interesting hub. Did you know they have crossed Bobcats with domestic cats and developed a domestic breed called Pixiebobs? This is also what they've done with the Serval to create Savanah Cats and the Asian Leopard Cat to give a very popular domestic spotted breed called Bengal cats. A hub on those three breeds would be very interesting and beautiful. Hi Sheila. I have always loved these cats. We actually had a Bobcat sighted nearby last week. He/she was just beautiful. Would love to see an Ocelot. Great job. VU, sharing, etc. Wonderful information on some of the most beautiful cats. How sad they, like so many others, are being driven out. You did a stellar job of giving us so much information on each of them. I have to agree the ocelot is a beautiful cat! I love cats, especially wild cats. Where I grew up in central Wisconsin we had lynx and bobcats roaming around and sometimes they would scream at night and the hair would raise up on the back of your neck. The lynx especially, sounded just like a woman screaming as though her life were in danger. Excellent hub. Beautiful photos. Voted up, interesting, and shared! Very fine compilation on the cats, Shelia. Cool vids too. The mountain lions are making a comeback in many places they were once thought extinct. Many sightings and evidence from right here in N.C. and elsewhere in the south. Anyway all these beautiful creatures deserve and belong in what nature is left to them. Hi sgbrown! This is a very informative and interesting article. I particularly love the ocelot. What a beautiful animal. Not too long ago, a few mountain lions were introduced into the nearby area because of the large deer population. As a result, I keep a sharp eye out when I'm walking in the woods! Voted this one Up, Useful, Interesting and Beautiful. Thanks for sharing all this good info! Thank you for all the information and for sharing the beautiful photos and videos, sgbrown. These cats are fascinating animals! Your hub is informative and very enjoyable. Very cool hub! I could almost swear that I saw a mountain lion when I was a kid on a car ride from PA to Wisconsin. My father thought I was just sleepy, but boy I tell ya, this thing looked like a mountain lion! Guess it really couldn't have been :) Anyway, great hub! An amazing hub and thank you for sharing. Hello Carol! I have seen 2 bobcats myself, here in Oklahoma. Housecats still have that natural wild instinct, don't they. I almost brought home a baby bobcat that was found alone in the wild one time. ( I wasn't the one that found it.) But at the time I lived in town and that would not have worked out well. Thank you for stopping in, commenting and voting. I always appreciate hearing from you! Oh what beautiful creatures and imagery you have here. I did not know of all of these except the mountain lion, cougar, and bobcat. I leanred of the puma, sad to say, while watching "Dora the Explorer" with my granddaughters. LOL The Ocelt is so very beautiful. Thanks for this excellent hub here. Voted up, up, up . . .
Hi sgbrown. Several years ago, some of my outdoor friends did the short Silver Creek hike, in California's Northern Sierra Foothills. When the trail petered out they sat down and ate lunch. The wind was blowing toward the people, and the noise of the running water drowned out any of their noises. An older gentleman in the group spotted a cougar. He stood up and said: Look, there's a mountain lion! Then the big cat ran away. So much for the king of the jungle.